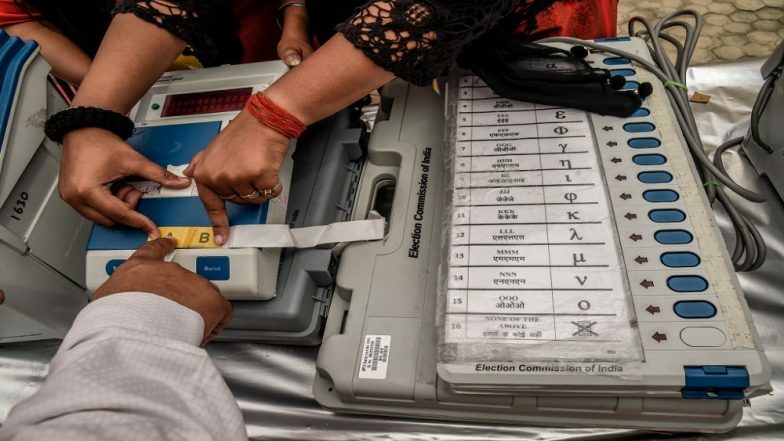 New Delhi, April 11: Lok Sabha elections 2019, the biggest electoral process in the world, commenced on Thursday with voting being held in 91 constituencies across 20 states and UTs. The phase 1 polls, though described as "peaceful" by the Election Commission, were marked with reports of violence, EVM glitches, vanishing of indelible ink and names of voters missing from electoral rolls. Andhra Pradesh was the worst-hit by the EVM malfunctioning, with the Commission claiming that 362 of the 45,000-odd voting machines in the state temporarily turning dysfunctional. Chief Minister Chandrababu Naidu has, however, contested the claim, asserting that 30 per cent of the EVMs used in the polls developed technical snag. In Uttar Pradesh's Bijnor constituency, a man claiming to have voted for the BSP said the "vote went in favour of lotus" despite pressing on the elephant button. He said the issue recurred with 5 other voters as well. Apart from the EVM row, reports also emerged of voters finding their names missing from electoral rolls. The incidents were widely reported from the constituency of Hyderabad, a stronghold of AIMIM chief Asaduddin Owaisi, and Gautam Buddh Nagar, the seat witnessing the re-candidature of Union Minister Mahesh Sharma. In the latter, the kin of Dadri lynching victim, Mohammed Ikhlaq, also alleged their names missing from electoral roll. Another row which raised questions on the EC was the vanishing of "indelible inks" from fingers minutes after voting. Among those whose fingers lost the ink shortly after voting was CNN-News 18 executive editor Bhupendra Chaubey. The round 1 of general elections was also hit by violence, with two deaths being reported in Andhra Pradesh where workers of TDP succumbed to their injuries following clashes with rival party workers. In Chhattisgarh's Narayanpur, a naxal was killed following an encounter with the Special Task Force personnel. In Odisha's Malkangiri, the threat posed by Maoist insurgents led to total boycott of polls in 15 voting booths. The maximum voter turnout was recorded in Tripura (81.8 per cent), followed by West Bengal, where the combined polling in Cooch Behar and Alipurduar was registered as 81 per cent. In Manipur, 78.2 per cent polling was recorded, followed by 74 per cent in Sikkim. In Odisha and Meghalaya, the turnout rate was 70 per cent and 67 per cent, respectively. In Telangana, where all 17 parliamentary seats were contested, 60.6 per cent of the electorate registered their vote. In neighbouring Andhra, where the 175 assembly seats and 25 Lok Sabha constituencies, went to polls, the Election Commission recorded a turnout of 74 per cent. In Chhattisgarh's Bastar, which was rocked by a fatal naxal attack two days, the voters were not deterred from casting their votes. The constituency recorded a turnout of 57 per cent. In Uttar Pradesh, where 8 seats were on the line in western part of the state, a turnout of 63 per cent was recorded. Overall, a total of 6.37 crore voters participated in the polls, which witnessed the candidature of nearly 1,239 aspirants. The voting was held at 1.7 lakh polling stations, said Deputy Election Commissioner Umesh Sinha.